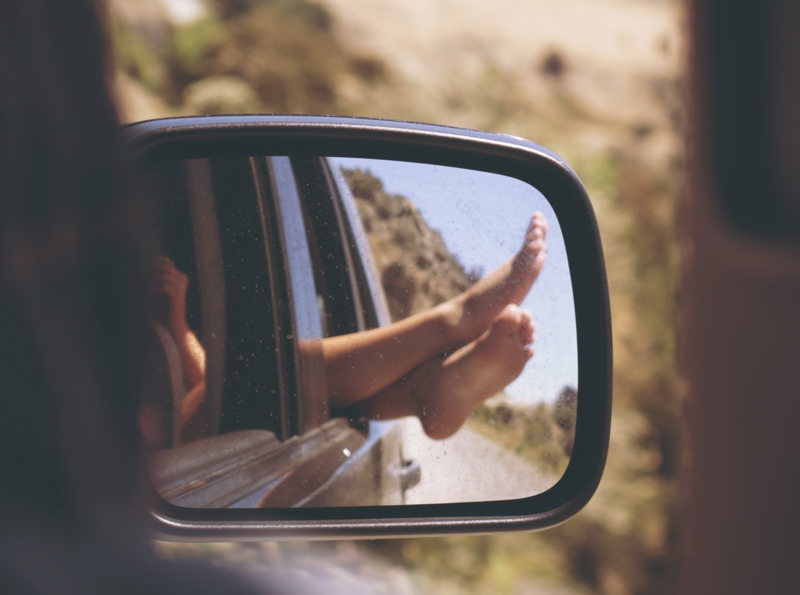 When planning your summer road trip, is cheap car insurance and a full tank of gas all the preparation you need? Today, we’ll look at 10 extra things you can do to make your trip safe and breezy. If you don’t already get your car serviced once a year, right before a summer road trip is a great time to do it. Getting the work done a few weeks to a month in advance will give you the peace of mind to enjoy your vacation, without worrying about that rattling sound. Keeping your tyres properly inflated can save you money by increasing your car’s fuel efficiency. It’s easy to forget that flatter tyres are harder for the engine to push, and so burn more fuel. Modern tyres don’t visually deform until they are very low on pressure, so be sure to check them with a pressure gauge now and again during your trip. The numbers for ideal tyre pressure are typically found on the tyres themselves. Plotting your route on a map beforehand can help you immensely, no matter how good you are at navigating on the fly. Using an app on your smartphone is fine, but remember that your battery could run out, or your GPS could lead you the wrong way, so it’s never a bad idea to have a physical map on hand too. Being prepared in case of accidents is key. Keep a kit in your boot full of things like flashlights, batteries, jumper cables, tyre jacks and first-aid equipment. Better to have it and not use it than to be caught without it. If you’re towing a boat, or trailer, be sure to follow the standard safety procedures for both! Tie down your trailer securely, and make sure you have a high-visibility flag on the motor of your boat, to help the motorists behind you stay safe as well. No matter how prepared you are with your servicing and tyres, the most important part of your vehicle is you. Don’t use your phone, make sure you’re well-rested for the trip, and try switching drivers with your friends or family when you can. Staying fresh and alert on the road is a simple and effective way to avoid accidents. Using cruise-control is a great idea for keeping at a safe speed and getting the most out of your car’s fuel tank – but avoid using it at night. Needing to stay aware of your speed while driving at night helps you stay focussed on the road while your passengers are sleeping. This may seem like a non-issue, but you’d be surprised how often motorists run out of gas in dangerous places – like the highway – because they wait until their fuel light comes on before looking for a petrol station. Especially when driving somewhere you haven’t been before, try to keep your tank topped up when you’re unsure how far it will be to the next station. Summer heat has been known to evaporate battery fluid or cause other damage to charging systems. If you generally keep your car outside, it pays to make sure your battery is working properly before you hit the road. If you have a lot of luggage, make sure you pack the heaviest items at the bottom of your car, in order to keep them from shifting or falling while on the road. Packing your heavy items lower down also keeps the car’s centre of gravity low, reducing the risk of the vehicle becoming too top heavy – especially important if you plan to transport kayaks, bikes, or anything else on the car’s roof. No matter how many steps you take to avoid an accident on the road, other drivers out there may not be as organised. To be fully prepared, it pays to have the right car insurance for you. To compare car insurance NZ wide, talk to the experts at glimp! Don’t wait until the day before your trip – get fully prepared now!